MagLab physicist Arkady Shekhter. Photo by David Barfield, National High Magnetic Field Laboratory. 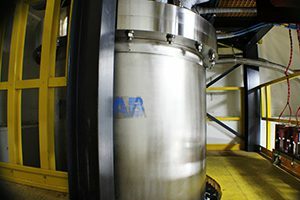 Researchers at the National High Magnetic Field Laboratory in Florida have discovered a behavior in materials called cuprates that suggests they carry current in a way entirely different from conventional metals such as copper. Also known as "strange metals," cuprates are high-temperature superconductors that can carry current without any loss of energy at somewhat warmer temperatures than conventional, low-temperature superconductors. To try to understand how this process works, the researchers put lanthanum strontium copper oxide in a very high magnetic field, applied a current to it, then measured the resistance. They treated the cuprate in its normal state from which superconductivity eventually emerges when the temperature dips low enough. The resulting data revealed that the current cannot travel via conventional quasiparticles, which are the units (or electrons after their environment has been factored in) that carry charge through traditional metals. World-record 100-Tesla Multi-Shot Magnet used in the experiment. Photo by National High Magnetic Field Laboratory. In other words, the normal metallic state of the cuprate they tested was anything but normal. 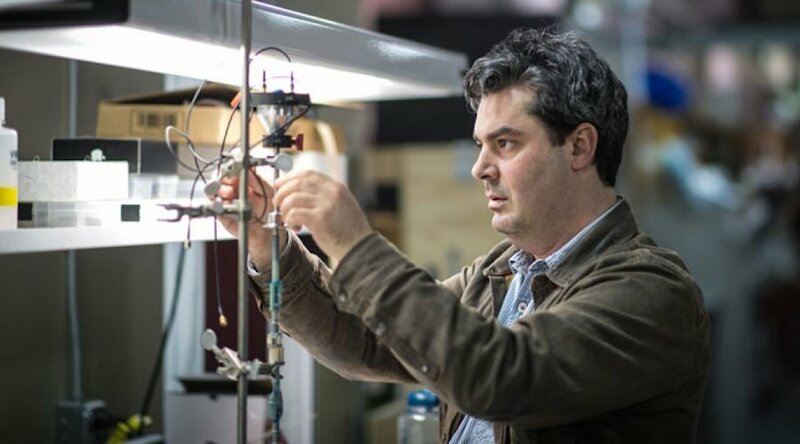 "This is a new way metals can conduct electricity that is not a bunch of quasiparticles flying around, which is the only well-understood and well-agreed-upon language so far," said team leader Arkady Shekhter in a media statement. Given that individual quasiparticles are not the leading actors in carrying charge in this case, the scientists believe that there's a team effort taking place among electrons. This was made evident when they increased the strength of the magnetic field the cuprate was put into and its resistivity went up proportionately. The new evidence, they say, suggests that lanthanum strontium copper oxide in its normal conducting state may also carry current using something other than independent quasiparticles — although it's not superconductivity, either. What that 'something' is, scientists aren't yet certain. "Here we have a situation where no existing language can help," Shekhter said in his statement. "We need to find a new language to think about these materials," he added.